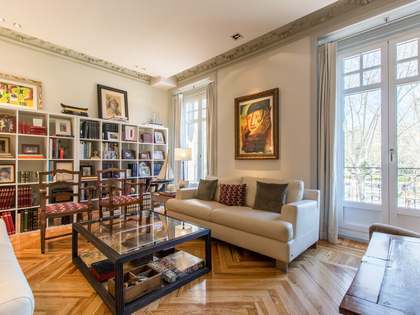 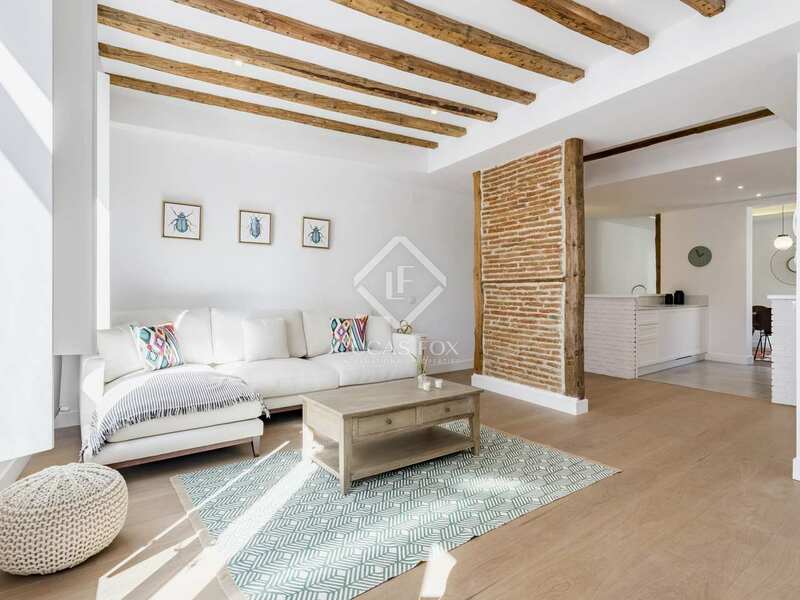 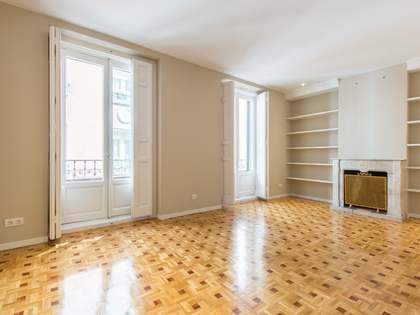 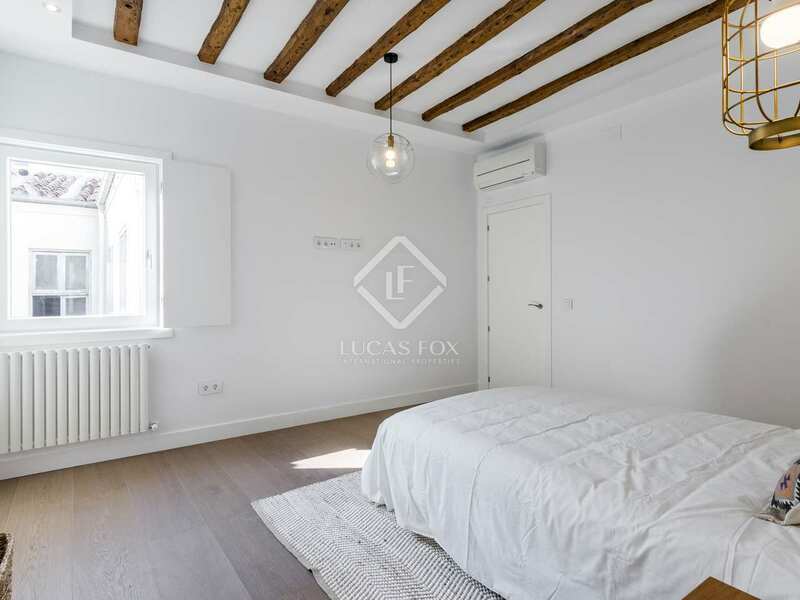 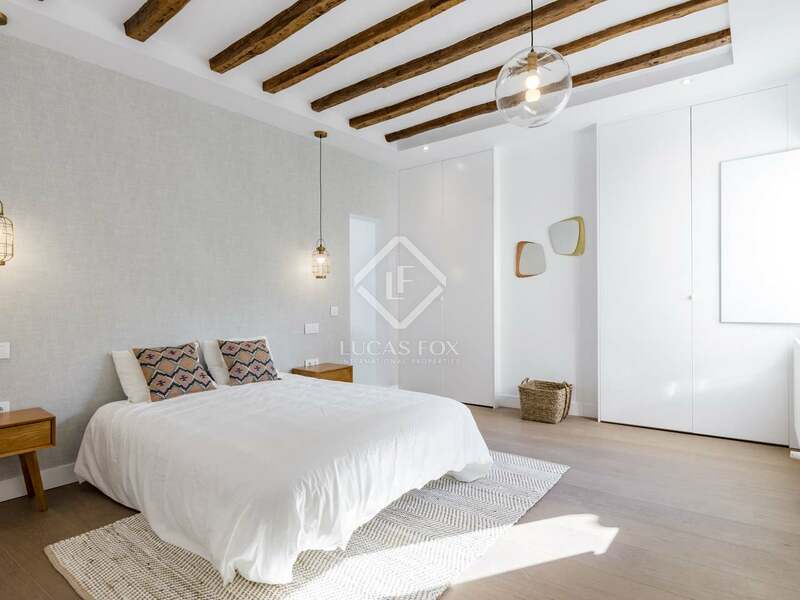 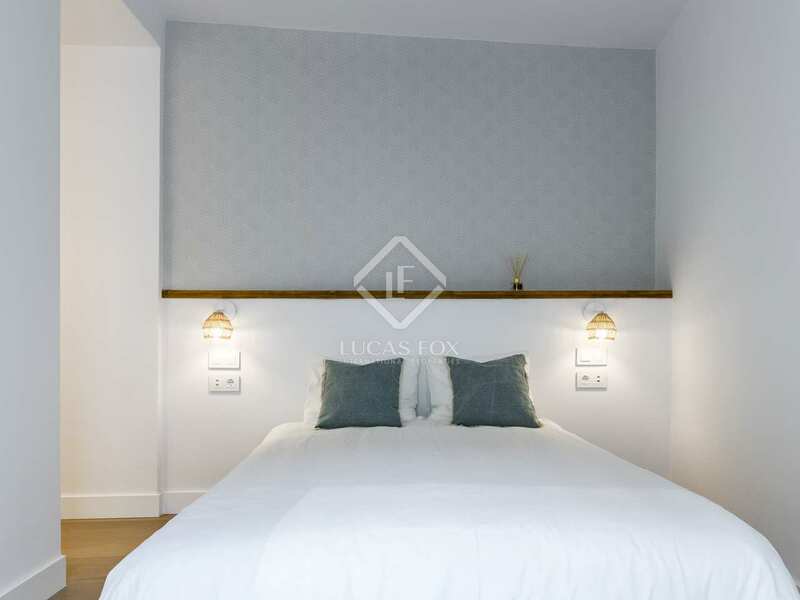 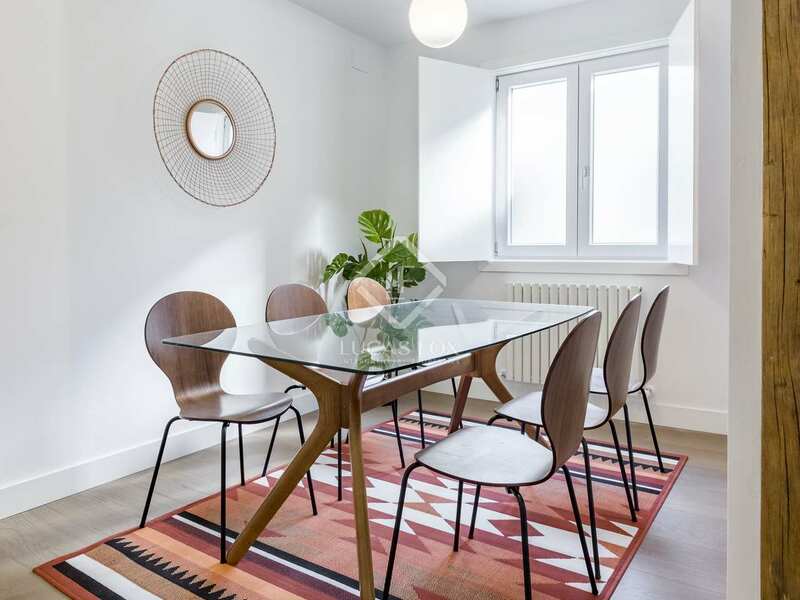 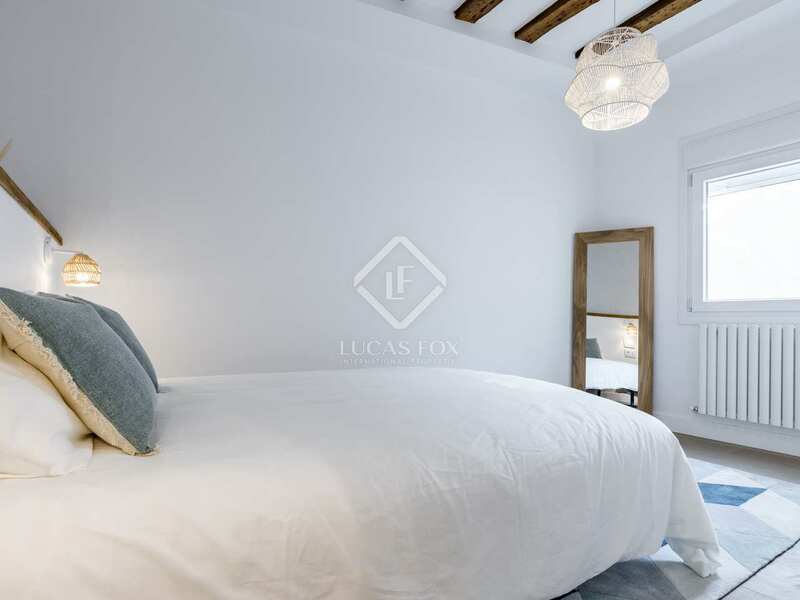 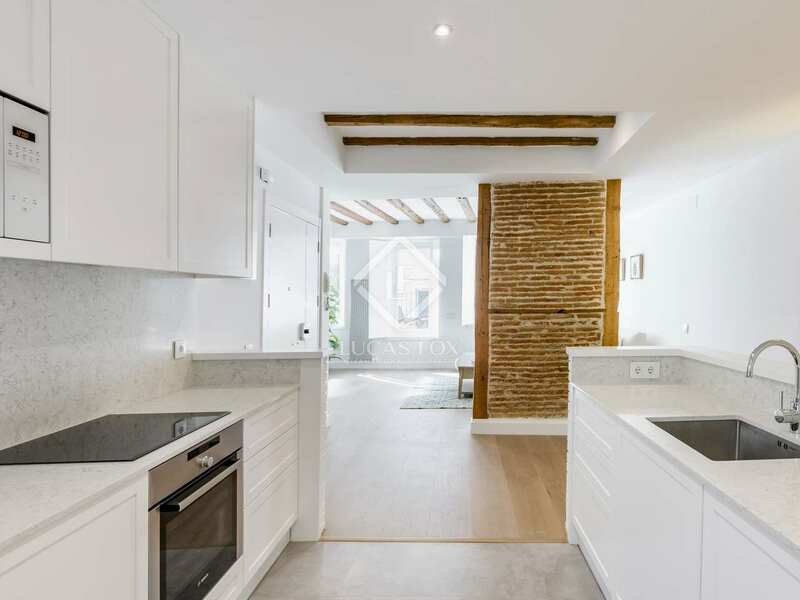 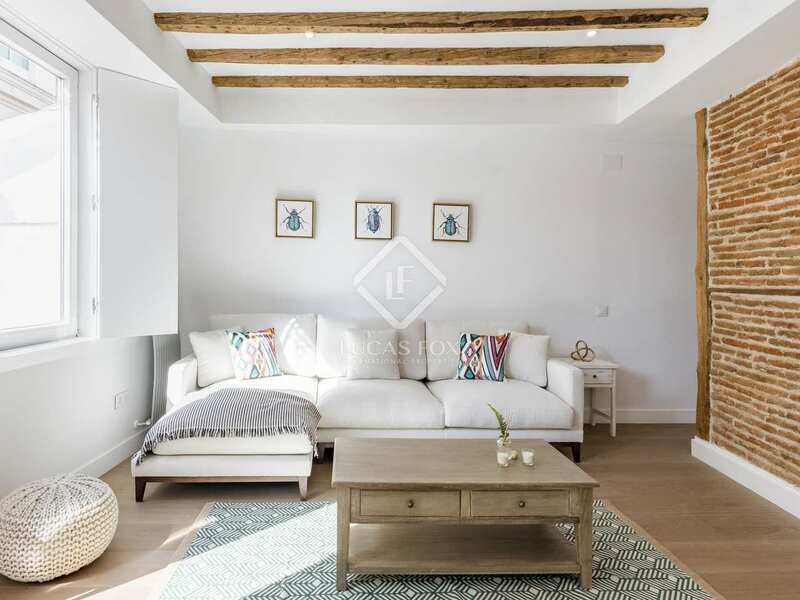 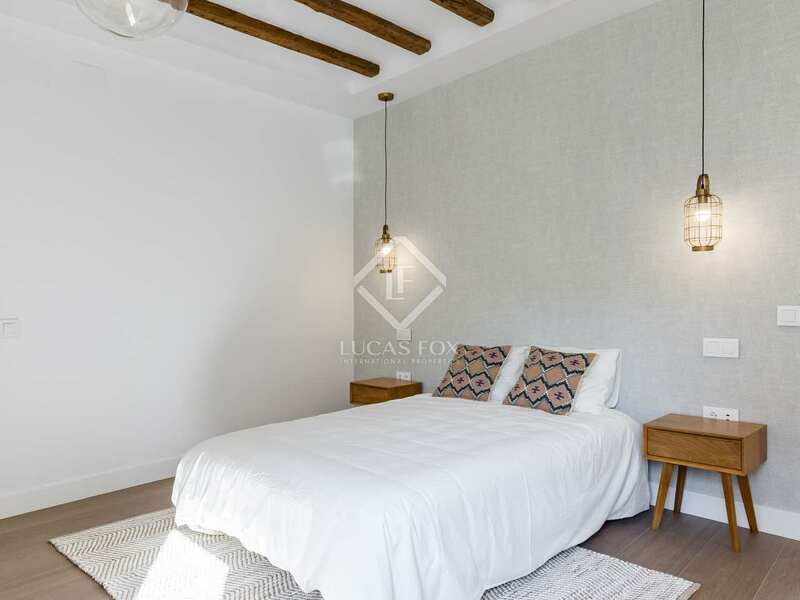 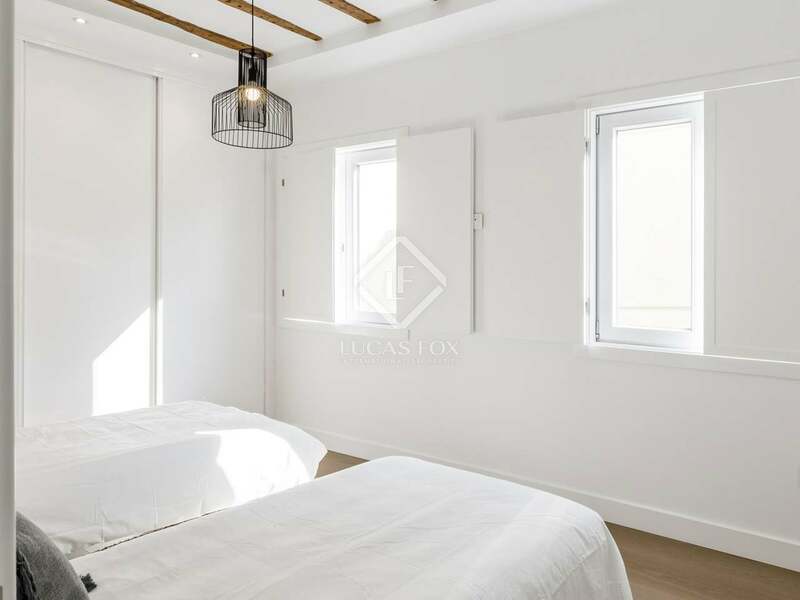 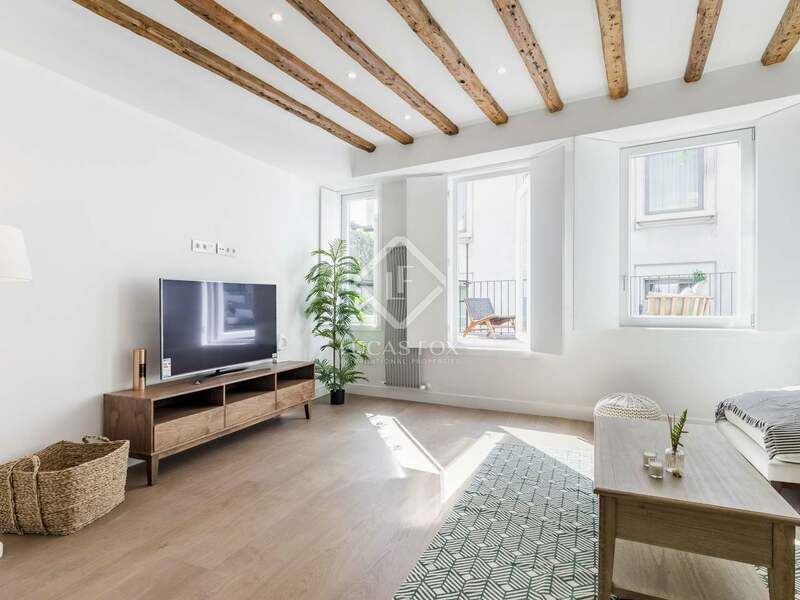 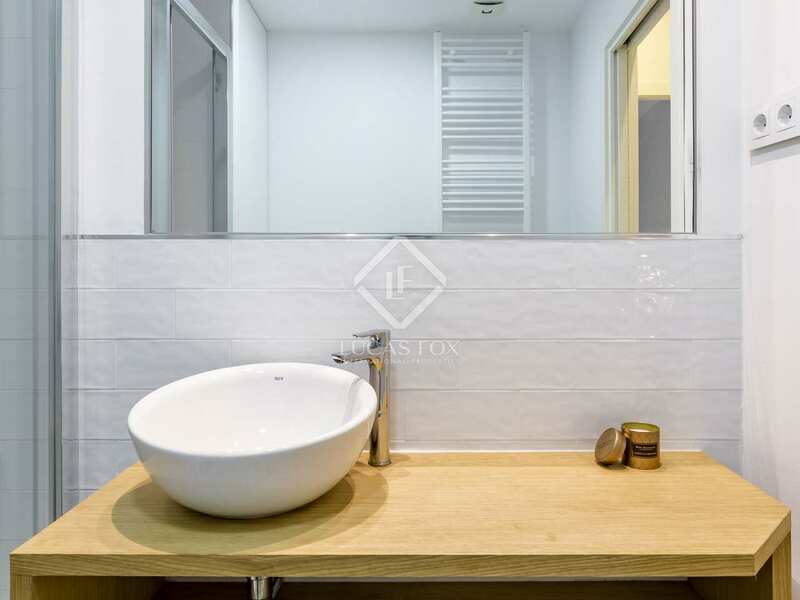 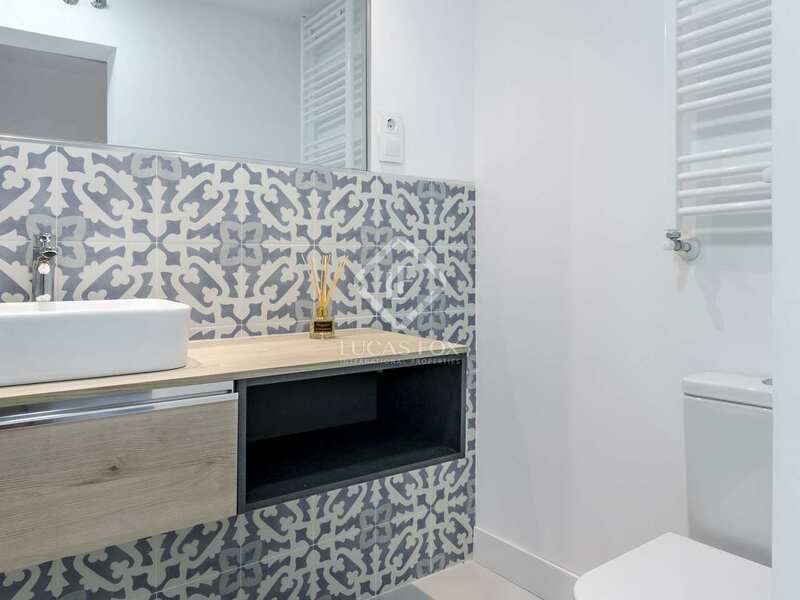 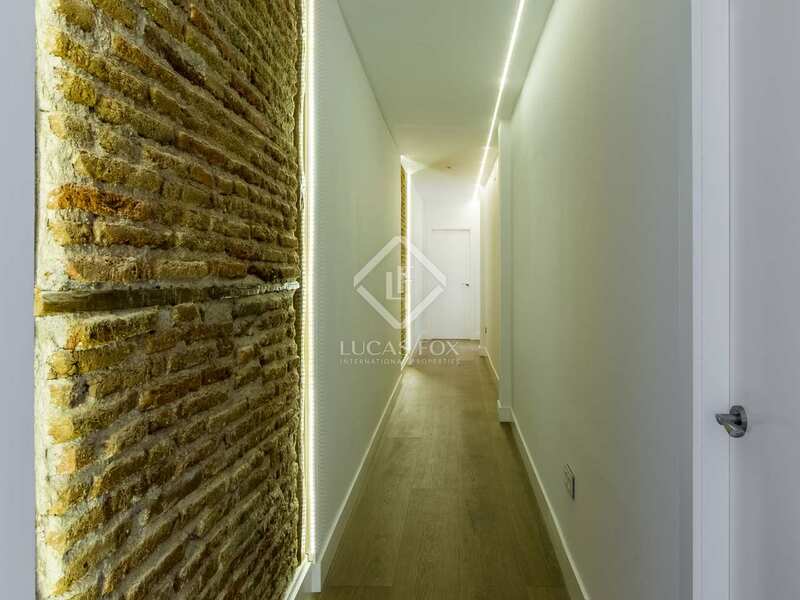 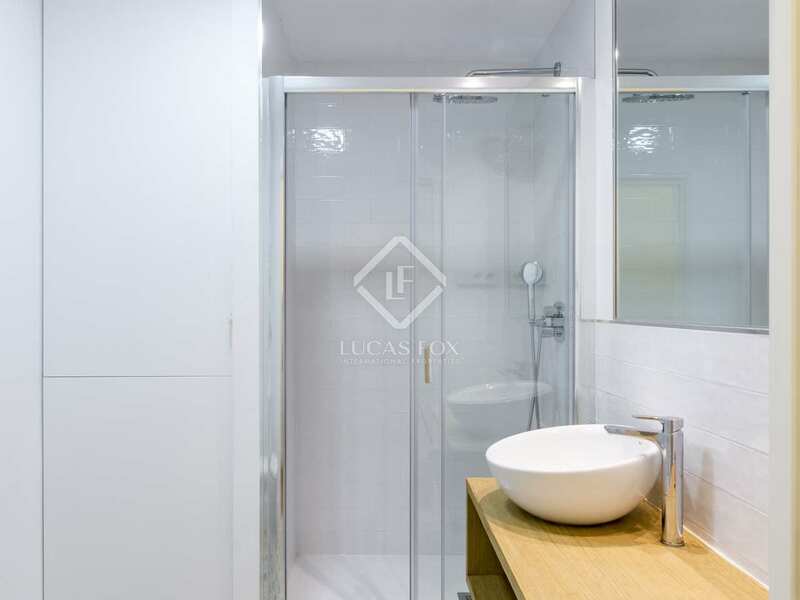 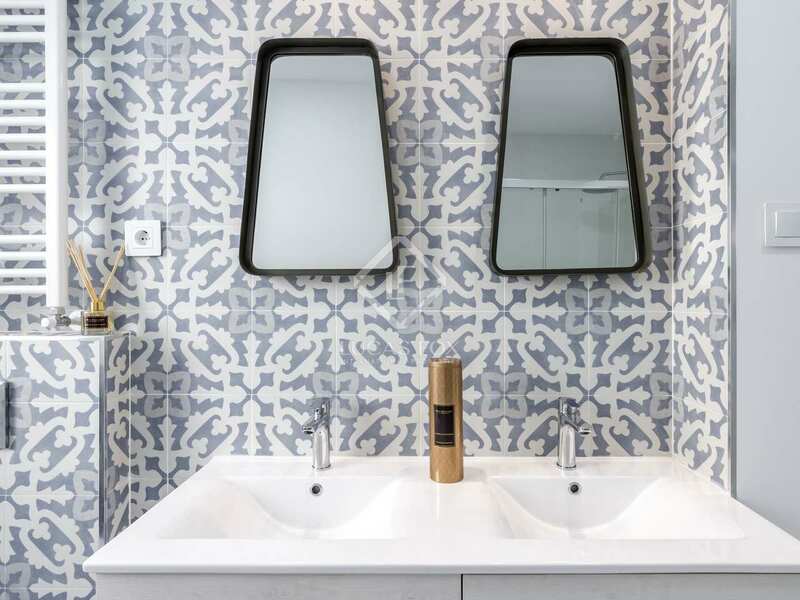 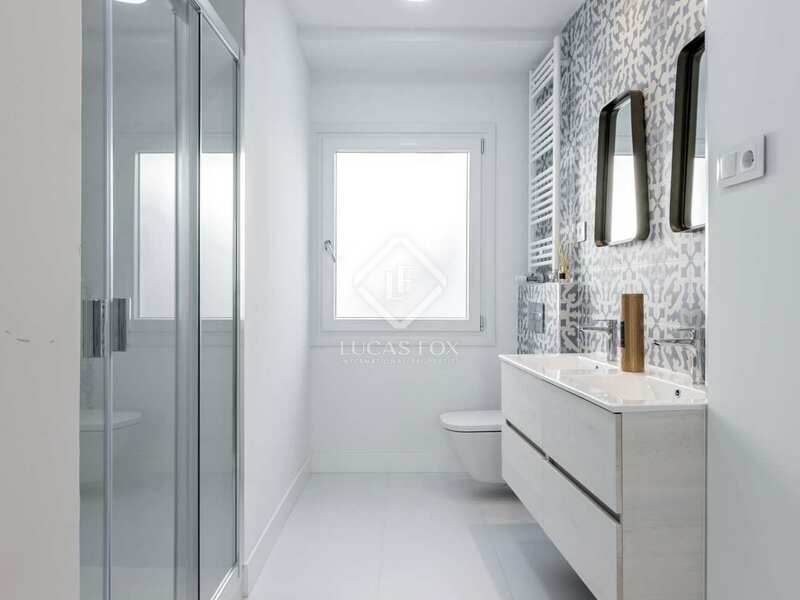 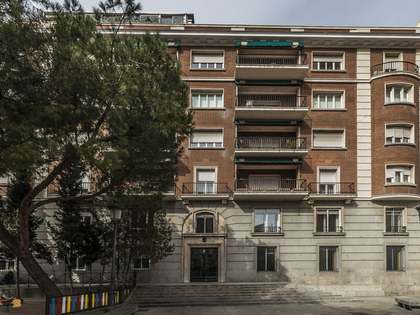 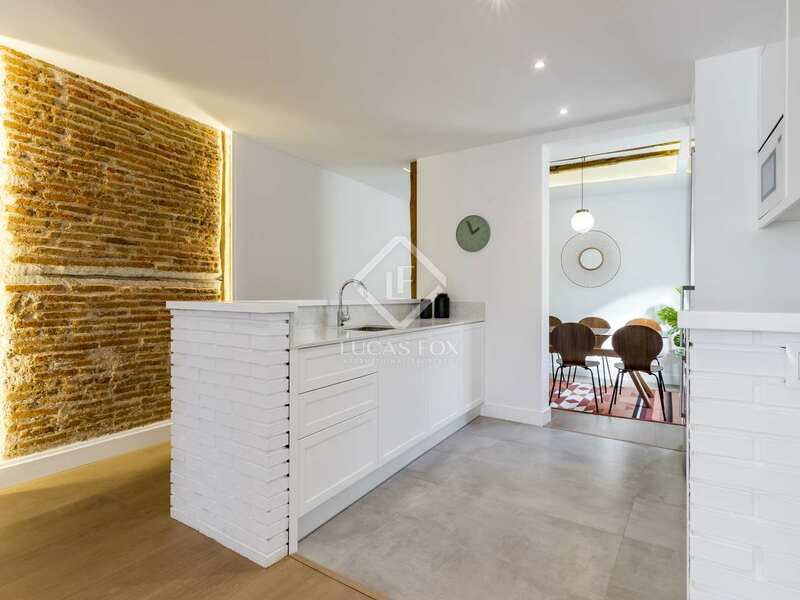 Beautiful renovated penthouse located in a building with a classical facade, opposite the Congress of Deputies, in the Barrio de las Letras (Literary Neighbourhood), a pedestrian area with all kinds of services and 10 minutes from Retiro Park. 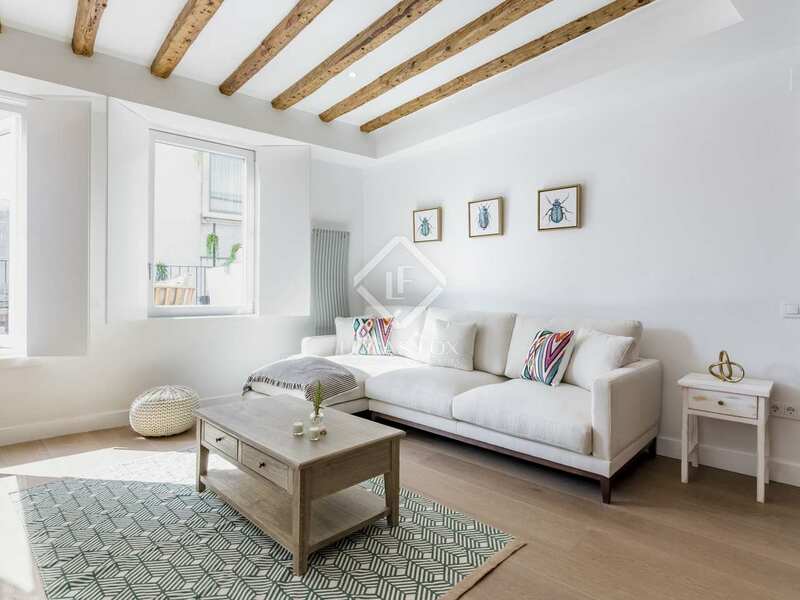 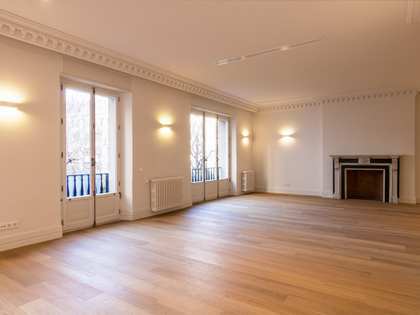 The property measures 191 m², has high ceilings and a sunny southern aspect and has just been completely renovated. 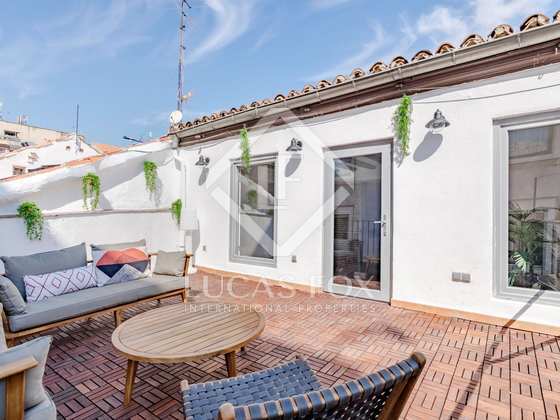 Upon entering the property we access the living room, which has access to the terrace of 23 m² overlooking the Congress of Deputies. 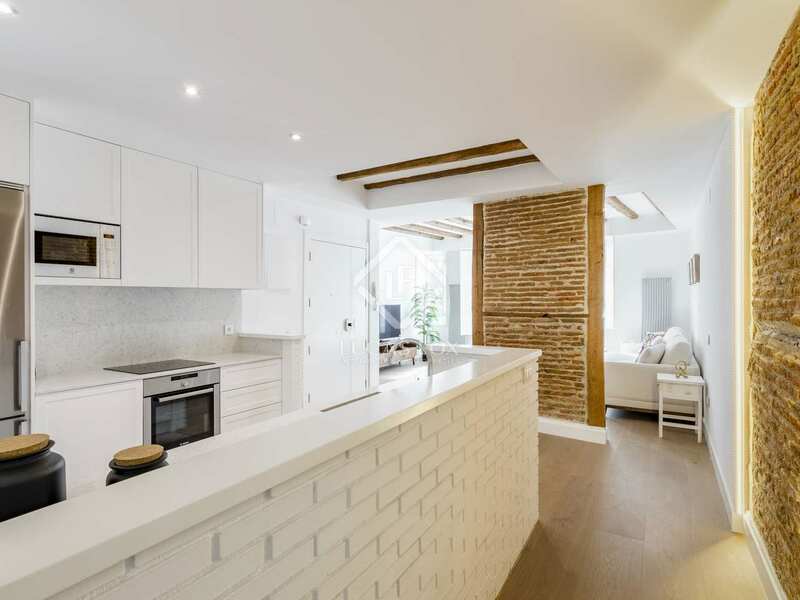 The kitchen is open to the dining room. 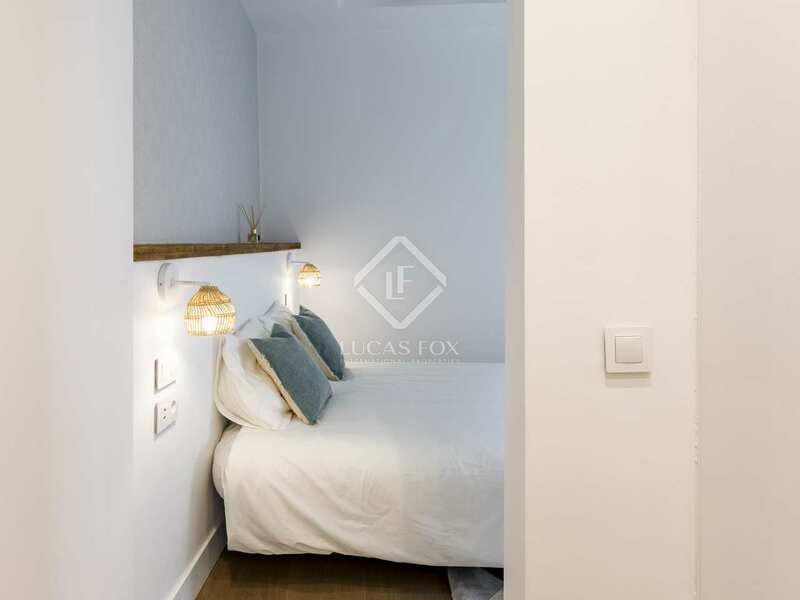 The 3 bedrooms (two of them with private bathrooms) and a third shared bathroom are found along the corridor. It is an ideal home for families who want to live in one of the most central areas and with many leisure and dining options. 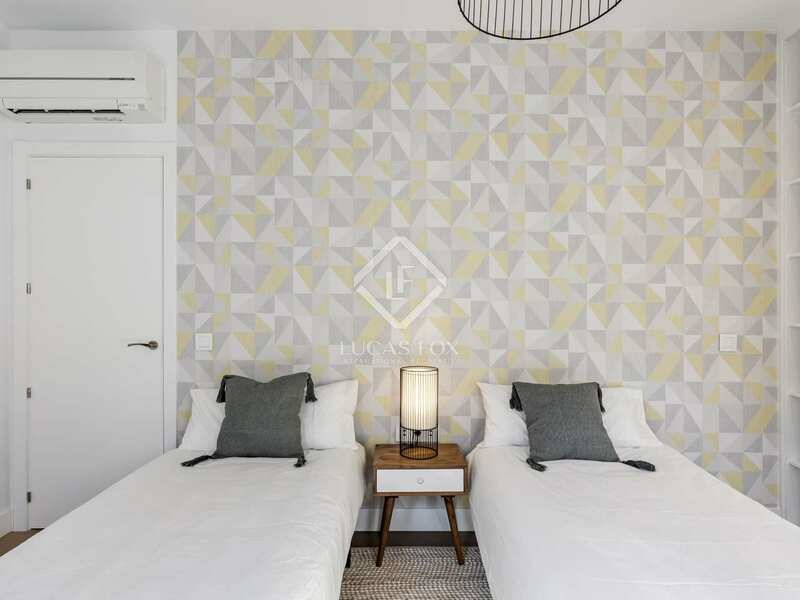 It is also a good option for investors because of its location, since it is in high demand for short and long-term rentals. 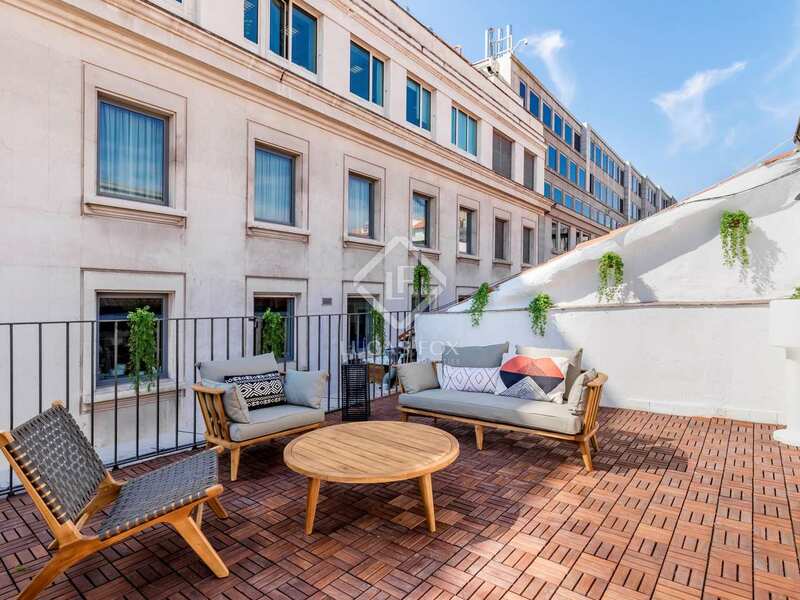 It is located on Calle Zorrilla, opposite the Congress of Deputies, in the Letras neighbourhood of Madrid. 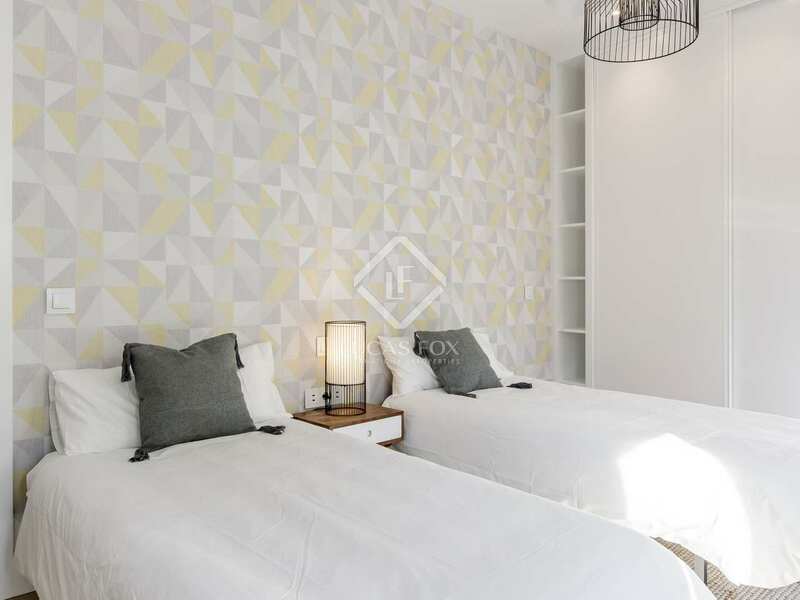 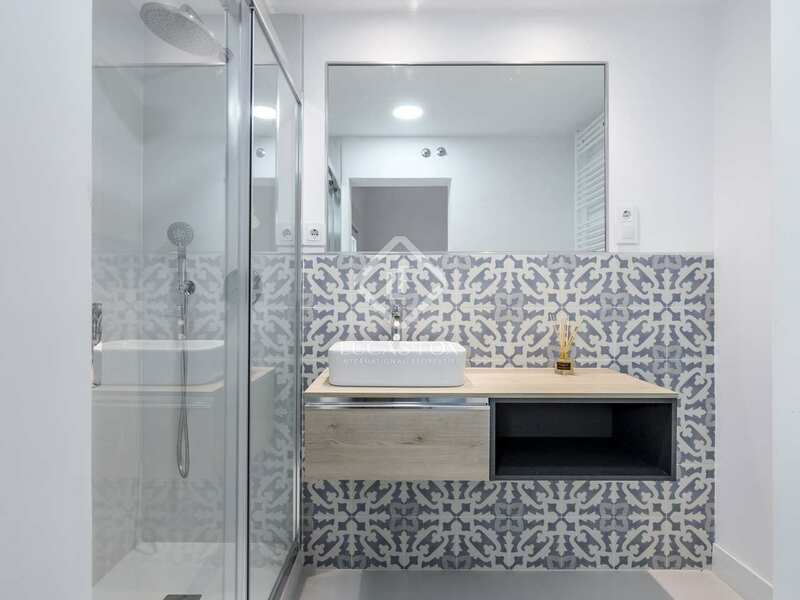 This neighbourhood is pedestrian and offers a wide variety of services such as large hotels, restaurants, bars, shops, museums, among others, is also 10 minutes from the Retiro Park. 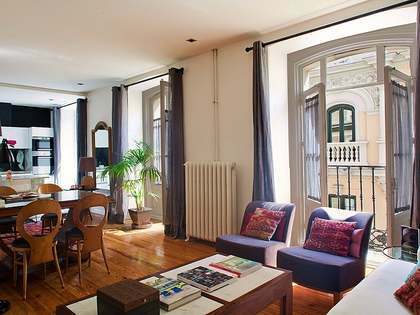 The area is very well connected by public transport with the entire city. 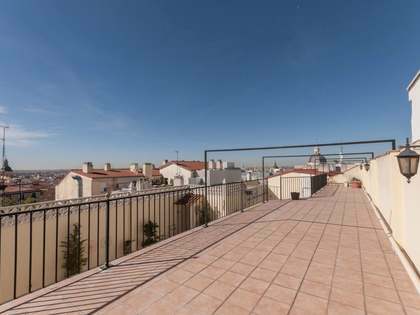 The nearest metro station is Seville and there are several bus stops.